I love creating my own planner dashboards and dividers! It gives my planner some personality and functionality too! 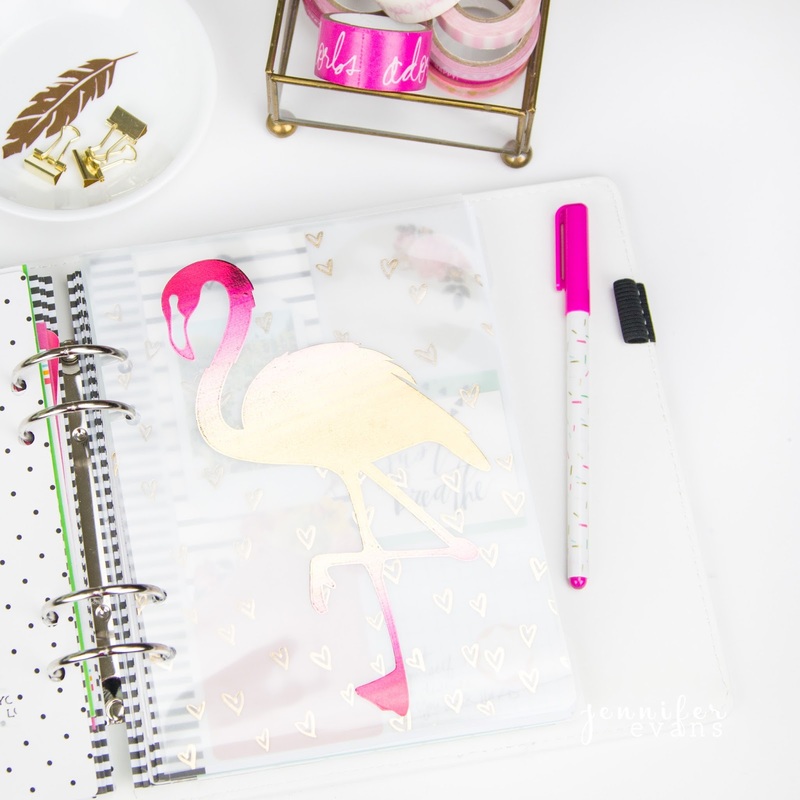 This foiled ombre flamingo is making me want to foil all the things. This is a personal blog. All editorial content and projects are intellectual property of Create Often with Jennifer Evans. This post has affiliate links, I receive a commission when products are purchased through links here at this blog, at no cost to you. All ideas and opinions are my own. I create what I love and love to share what I create. Here's how easy it is to make your own! 1. Using a heat setting 2 on your Minc, place a Minc laminating pouch together, with nothing inside, and run it through the machine inside a transfer folder like you would any other project. You now have a clear divider! 2. To create your flamingo, cut your Silhouette file from Oracal 631 vinyl with the Silhouette. I used the file by Sophie Gallo Design ID #90226. 3. I foiled and applied the vinyl to the divider just like I did to the mug in the following video. For this ombre look, I used Heidi Swapp's Pink & Gold Ombre Minc Reactive Foil. 4. After I was done applying the vinyl, I punched holes in the divider. Then added it to my planner! I placed a vellum heart paper behind it so that the paper would show through the clear divider! 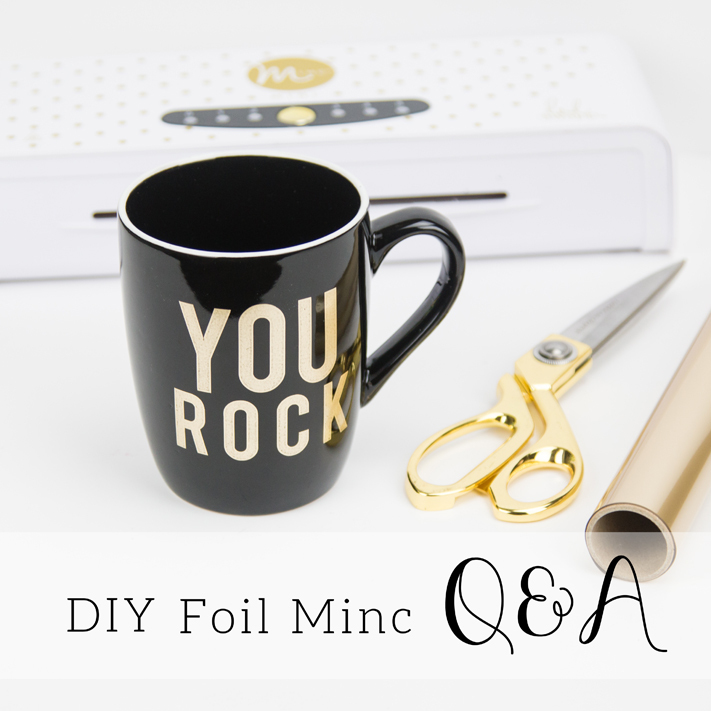 Here are more inspirational posts about foiling for your planners and foiled vinyl! 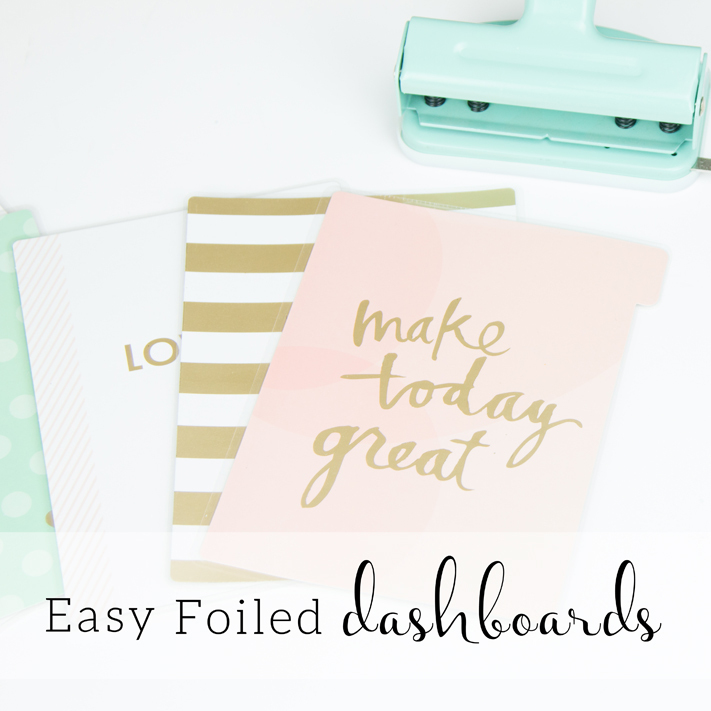 Create Often: Want your own foil accents in your planner? Create your own!